One of our colleagues, Iylia, recently developed a milk allergy and our Managing Director surprised her with some vegan dairy-free ice cream the other day, just because. For someone who enjoys chocolate and dairy, not having traditional store-bought ice cream (which commonly contains dairy) might sound like a prison sentence. 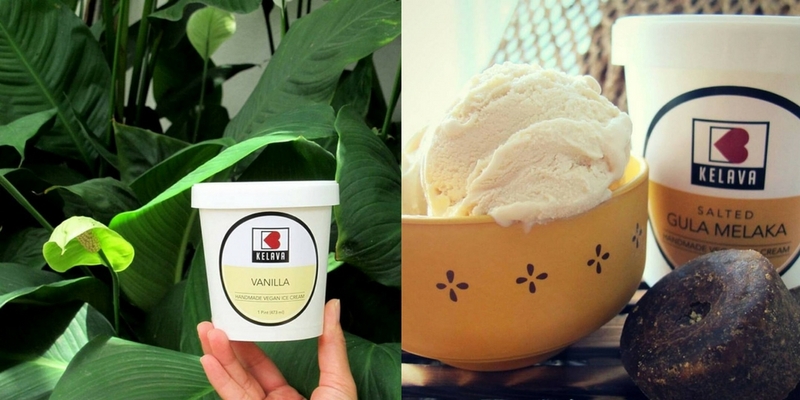 Needless to say, Iylia happily dug into the Kelava Vegan ice cream which are “handmade with kelapa and love”. Kelava Vegan is made with folks like Iylia in mind. In fact, some of the main components in a tub of Kelava ice cream are coconut + soy milk, which gives the ice cream a distinct kelapa taste. Vegan options are increasing in Malaysia and it’s nice to see that Kelava has jumped on board this bandwagon too. Azlan’s wife, who has also adopted the vegan lifestyle, adores ice cream and he decided to pick up this passion project because he saw an opportunity to do something that won’t just fill up his wallet, but also his heart. “My wife has been really supportive. and that’s all I need,” Azlan added. The couple spent hours perfecting the recipes, by lots of trial and error. He said, “Yes it is hard. People initially kept saying it’s not as good as ‘normal ice cream’. I started experimenting using recipes from the internet. The first few batches turned out to be blocks of ice,” he shared candidly. Arguably, it’s not easy making ice cream that is plant based, so they kept trying different types of milk/cream and sweeteners as well as did plenty of research on ice cream chemistry. “Although there’s still room for improvement, I’m quite proud of the Kelava ice cream. People say that it has the right texture,” Azlan said. At first taste, one might not even realise that these creamy desserts are vegan. They have the consistency of traditional ice cream but it has an unmistakable lighter consistency to it too. For those who are curious as to how these vegan desserts fare, Azlan recommends the bestseller: Salted Gula Melaka. 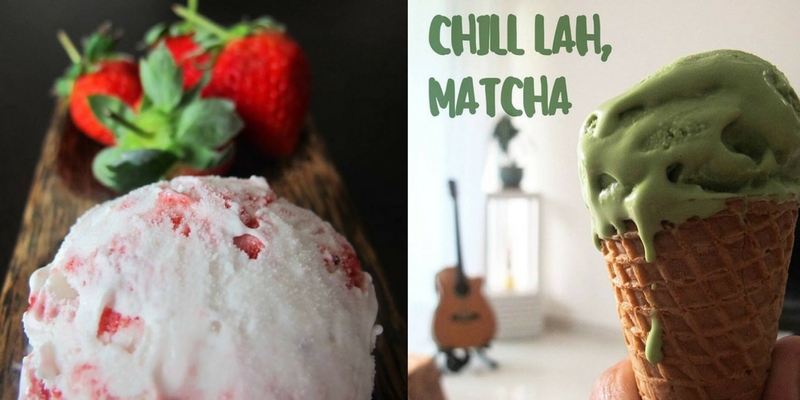 His personal favourite is the creamy Chocolate flavour, but on top of these 2 flavours, there are also Strawberry, Vanilla, Cookies & Cream and Matcha flavours to choose from. 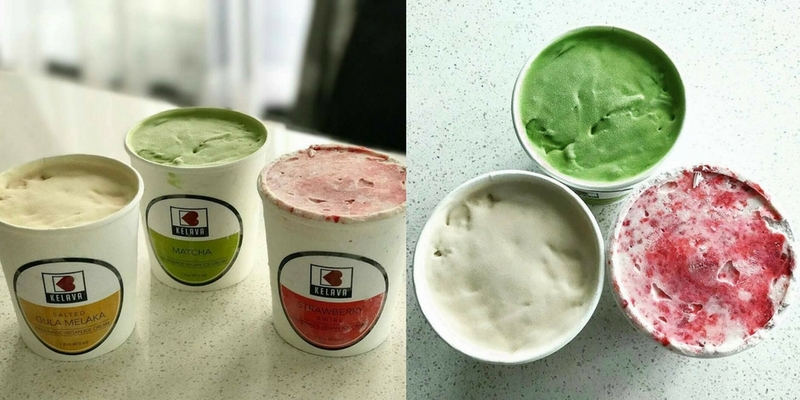 Each tub of Kelava ice cream is priced at RM28 and there’s option for tub deliveries within Klang Valley as well.